A History of DreamWorks Animation: Part One – Ogres Are Like Onions! On April 28, 2016, the Comcast owned NBC/Universal announced it would purchase DreamWorks Animation for $3.8 billion. The sale sees Universal, one of the oldest movie studios still active and arguably, with its theme park unit, the one true contender against the dominance of The Walt Disney Company, acquiring what has been recognized as the top North American animation company outside of Disney. With it comes two decades’ worth of films that have built a legacy of quality stories that have been entertaining and technically awe-inspiring. In honor of this momentous occasion, we look back at each title in the DreamWorks Animation library and how they trace the rollercoaster history of the company, from being a department in a new major Hollywood studio founded in 1994 by Steven Spielberg, Jeffrey Katzenberg and David Geffen, to becoming a leading independent production house and its joining the Universal Pictures family. What follows is the first of a four-part retrospective article. 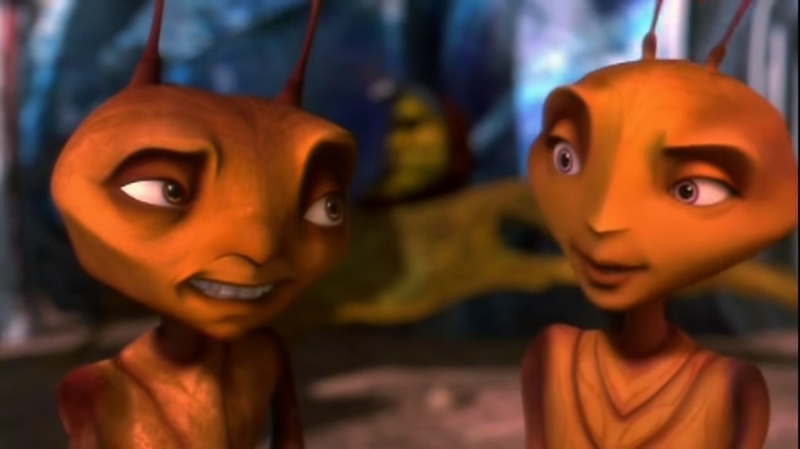 The first film from DreamWorks Animation was the computer generated feature Antz. It told the story of a neurotic worker ant named Z wanting a better life. He would get his chance through a chance meeting with the colony’s princess and stumbling upon a nefarious plot to change the social order entirely. As a first impression for the then-fledgling studio, it certainly stood apart from Disney and even Pixar. Thanks to the technical efforts of partner company Pacific Data Images, Antz presented what was then cutting edge animation, particularly in facial features. There was a sense of realism to them that I found to be both believable and fascinating. The film had a stellar ensemble cast, headlined by Woody Allen. In fact, it seemed clear to me that Allen had a hand in shaping the story and not just in what Z would say. Allen is one of the most renowned storytellers and he understands how to make characters really shine on their own and collectively, which Antz achieved rather well. As such, it was mature while still appealing to the younger audience. But though Antz was a great first feature, it unfortunately fell under the heavy shadow of the equally great A Bug’s Life, and one I don’t think it can ever escape from. With production on both films running at the same time and at the same pace, accusations of story theft due to the plots being rather similar, and many more behind-the-scenes drama involving the release dates of the films ending up being about a month apart, the long-term legacy of the first DreamWorks animated feature was harmed pretty badly as it is hardly remembered to this day outside of animation fans. Antz would gross a worldwide tally of $172 million against a budget of $105 million, making it a modest box-office hit. It is available on DVD and can be streamed on Netflix, as of writing. The Prince of Egypt was the first hand-drawn animated feature from DreamWorks Animation. Adapted from the Book of Exodus, it was a retelling of the story of Moses. The film specifically chronicled the period from his being the adopted son of Pharaoh Seti to God commanding him to lead the Hebrews out of Egyptian slavery to freedom across the Red Sea. The Prince of Egypt was the film that, more than anything, announced the arrival of DreamWorks: a beautifully made feature with rich animation, great storytelling, wonderful music, and a fantastic ensemble cast headlined by Val Kilmer as Moses. The film managed to click on every level that audiences of all ages could appreciate and enjoy, even at its most dramatic moments involving life and death. The film has been one of my all-time favorite non-Disney animated features since its release. It’s a film I can put on at any time and be absorbed. A good portion of why I like it is the music from composer Hans Zimmer and songwriter Stephen Schwartz. The two really worked well with one another to create stunning music that was dramatic and heartfelt while enhancing the storytelling. The Prince of Egypt has gone on to develop a fine legacy for itself over the years. It was the only animated feature from 1998 to receive an Academy Award, winning Best Original Song for When You Believe. 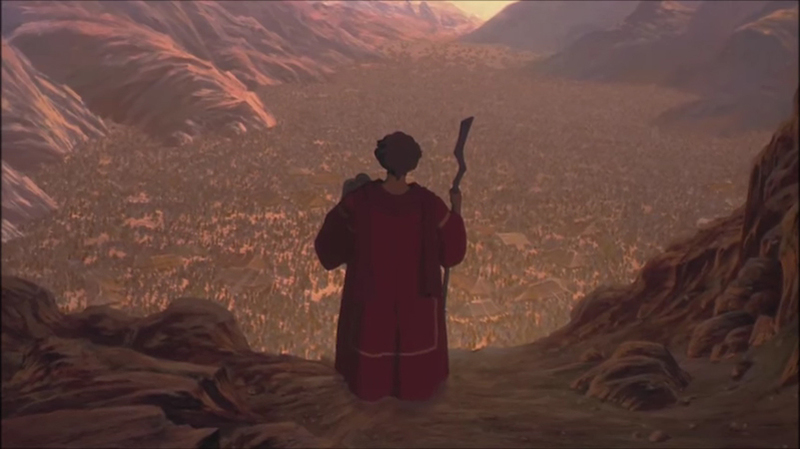 Its success spawned a direct-to-video animated follow-up in Joseph: King of Dreams. Ballet Magnificat has a regular performance based on the film called Deliver Us!! and Schwartz is currently in the process of adapting the film into a stage musical. The Prince of Egypt would gross a worldwide tally of $219 million against a budget of $70 million, making it the most successful non-Disney animated feature at the time. It is available on DVD and can be streamed on Netflix, as of writing. 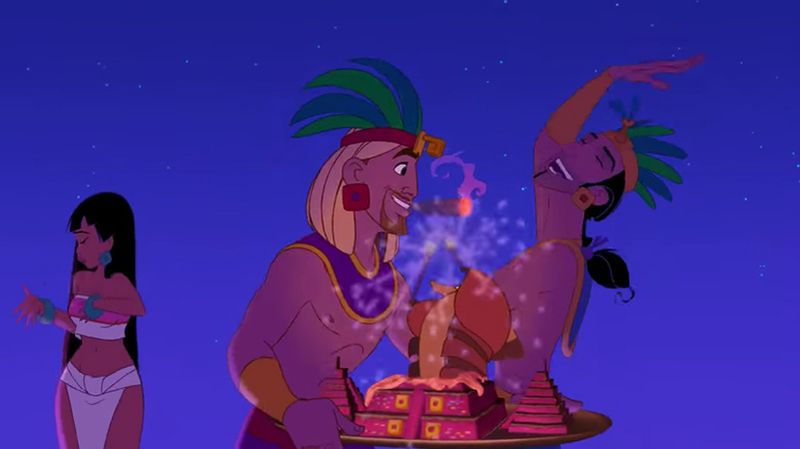 The Road to El Dorado was the second hand-drawn animated feature from DreamWorks Animation. It was an homage to the Road… movies starring Bing Crosby and Bob Hope. In this film, two Spanish con artists, through a series of calamities, find themselves searching for the fabled city of El Dorado and a simple attempt at discovering treasure turns into a more complicated adventure. If nothing else, The Road to El Dorado looked fantastic. The animation was quite beautiful to look at. Furthermore, the voice cast, headlined by Kevin Kline and Kenneth Branagh as Tulio and Miguel, certainly sounded like they had a blast doing the film. But even when I first watched it then as I do now, I felt the story just didn’t seem to connect as well as it could have. I got the feeling that there wasn’t a whole lot of focus with the narrative. Clearly they wanted to see just how far they could go with mature elements in a mainstream animated feature in North America. But perhaps it was at the expense of the story being stronger than it ended up being because it didn’t really click for me. I also felt the music didn’t help as only one of the songs by Tim Rice and Elton John was catchy enough to remember. I like that the film has developed a cult following in the years since its release. This is probably because adolescents are enjoying the more adult humor now than they did when they probably saw the film as kids. No doubt the one scene that’s gotten a second look with great interest involves Tulio and native girl Chel in quite a suggestive predicament. The Road to El Dorado grossed a worldwide tally of $76 million against a budget of $95 million, making it a box-office bomb. It is available on DVD and can be streamed on Netflix, as of writing. Chicken Run was the first stop-motion animated feature from DreamWorks Animation as well as the first full-length film from acclaimed production house Aardman Animations. It told the story of a group of chickens, lead by the highly determined Ginger, wanting to escape their prison-like lives. With time running out before they go from laying eggs to being food for humans, they pin their hopes on an American rooster named Rocky, who claimed to know how to fly. 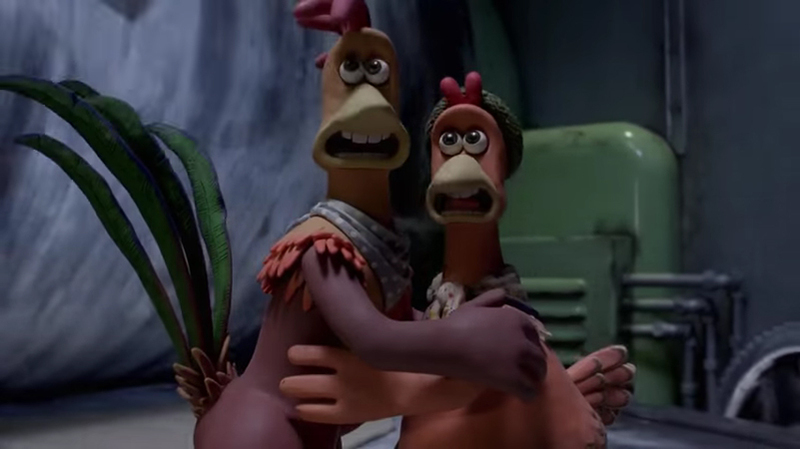 The great fun about Chicken Run was its simple, yet wonderfully crafted storytelling that was engaging and thrilling. Its use of slapstick comedy was quite brilliant at times, often executed at just the right moment to garner the best laughs possible. The cast, featuring Mel Gibson as Rocky, clearly were having an absolute blast, regardless of whether they were recording a funny scene or a dramatic scene. Part of the beauty to Chicken Run was how directors Nick Park and Peter Lord did not alter their comedy style just for the sake of appealing to Americans. In fact, I believe Americans were able to get the the humor, just in a different way. I’m of the opinion that audiences of all ages in America enjoyed the silliness of whatever was happening on screen while British audiences understood the context of the joke, making it all the more pleasing to laugh at. But while Chicken Run would have a very profitable run, there was the feeling that all of the praise and attention was directed more toward Aardman. In fact, most everyone considered it an Aardman film and could hardly remember that DreamWorks was involved at all. One couldn’t help but wonder if this would have an affect on the relationship between the two studios moving forward. Chicken Run grossed a worldwide tally of $225 million against a budget of $45 million, making it the most successful stop-motion animated feature to date. It was also the first non-Disney animated feature to gross over $100 million in North America. It is available on DVD and can be streamed on Netflix, as of writing. 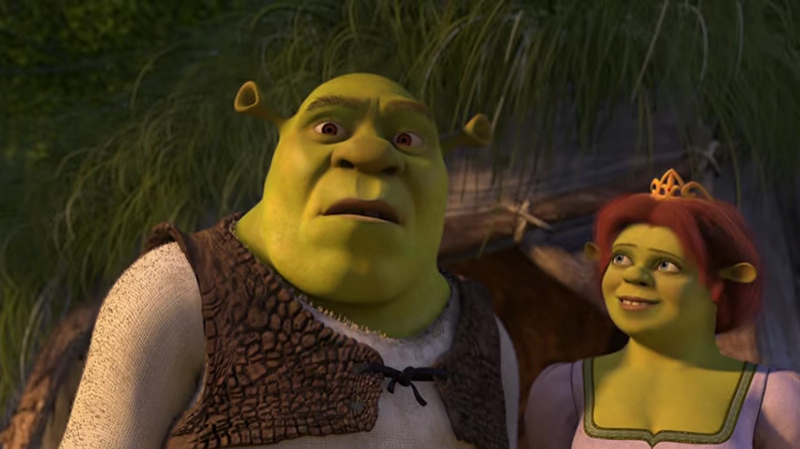 Shrek was the second computer generated feature from DreamWorks Animation. Based on the novel by William Steig, it told the story of an ogre named Shrek. Content with who he was and how society viewed him, his world would be turned upside down when he agreed to rescue the imprisoned Princess Fiona on behalf of a fairytale-hating Lord. If The Prince of Egypt announced the arrival of DreamWorks, Shrek turned the studio into a contender to Disney’s throne at the top of the animation industry. The film was and still is one of the finest films to watch, with of the most beautiful animation that has managed to hold up well over time coupled with a great story that was crafted with great care and understanding. It’s no wonder the film is a favorite with fans of all ages. I would imagine that part of the appeal for actors to partake in a DreamWorks Animation film would be the fun atmosphere the studio seemed to be able to provide. Mike Myers, Eddie Murphy, Cameron Diaz and John Lithgow not only sounded like they were having a ball, but I also had the feeling that they were given some creative freedom to make the characters their own. Be it the various lines Eddie speaks as Donkey to the various bad jokes Mike makes as Shrek, audiences feel like they can relate to them and enjoy their presence throughout. 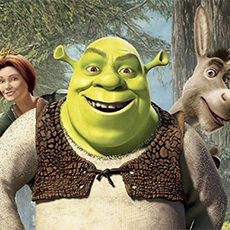 While it was not the first film released by the studio, Shrek became the foundation upon which DreamWorks Animation as a household name was built. It was the first recipient of the Best Animated Feature Academy Award. It was recognized by the American Film Institute as one of the top ten animated films of all-time. And it kick-started a franchise that included being adapted into a stage musical that played on Broadway, a 4-D film ride was added to the various Universal Studios theme parks, plus a series of additional films and television specials, among others. Shrek grossed a worldwide tally of $484 million against a budget of $60 million, surpassing Chicken Run as the most successful non-Disney animated feature at the time. It is available on Blu-ray and DVD. Spirit: Stallion of the Cimarron saw DreamWorks Animation make a return to hand-drawn animation. Developed by Jeffrey Katzenberg himself, the film was a story told through the perspective of a Kiger Mustang. It followed his adventures during the Western expansion of the United States in the late 1800s as he encountered humanity while trying to make his way back to his herd. The film demonstrated to me why hand-drawn animation would be my most preferred method of the medium. There’s a great deal that could be done with conveying emotion in a character that computer generated imagery is still trying to achieve. One could get really emotional over a character that doesn’t speak through the entire movie except through the narration of his thoughts. Furthermore, horses are recognized as among the most difficult creatures to illustrate and for the character to come to life so well in the film is astonishing. It helped that the storytelling was pretty good too. Nothing too amazing, but one that was simple enough for all ages to follow and enjoy. Trying to appeal to older audiences while not losing the important younger demographic remains a tricky goal to achieve and at the time DreamWorks seemed to have figured out how to accomplish the balancing act to good results. However, Spirit did arrive at a time when the industry was phasing out hand-drawn animation and was leaning more toward computer generated imagery. What’s more, a film about a horse would immediately have trouble attracting young males into the theaters, and an apparent underlying political message was not well received by some of the older viewers. Still, Spirit managed to do okay as it received an Academy Award nomination for Best Animated Feature. Spirit: Stallion of the Cimarron grossed a worldwide tally of $122 million against a budget of $80 million, making it a modest box-office hit. It is available on Blu-ray and DVD. Sinbad: Legend of the Seven Seas would be the last hand-drawn animated feature released by DreamWorks Animation. The famed sailor would find himself having to reluctantly engage on a quest to recover the stolen Book of Peace to save a friend from taking an execution meant for him. Along the way, he would encounter many obstacles and trials set up in his way by the goddess of discord, Eris. 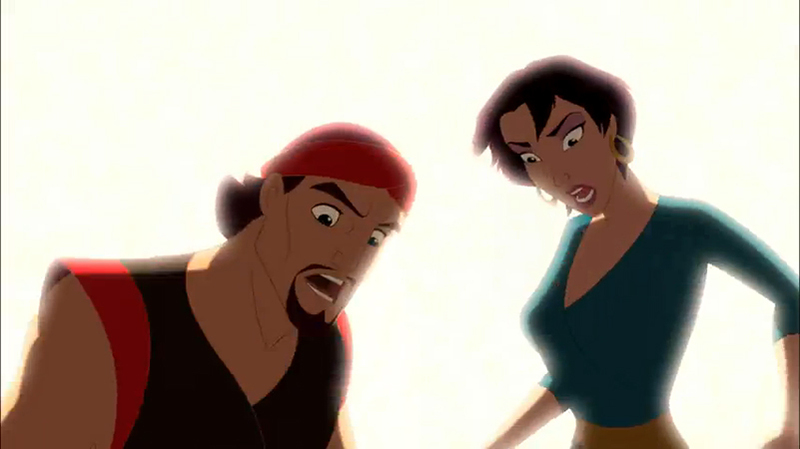 When I first saw it, I liked Sinbad. I thought it was a nice enough adventure with great animation and a cast, headlined by Brad Pitt, that was clearly trying to create an epic film while having a good time. I also thought that John Logan wrote a good screenplay that made for a good time spent watching the film. While I still like the film now, I have started to see how the story was not as special as I had thought. With previous Sinbad films, the trials and obstacles he and his crew would encounter provided lessons for him to learn and utilize in the climatic battle against the main villain. Here, it just seemed like they were thrown in randomly simply so that there would be action sequences in the film. The animation does a fantastic job of bringing these scenes to life, make no mistake about it, but I’m starting to wonder why these scenes need to happen in the overall narrative. There was a lot going against Sinbad at the time of its release. The animated films in North America that were of the action-adventure genre had not done well. Pirate-themed films were also box-office disasters. The previous animated feature to contain both elements, Treasure Planet, was one of Disney’s biggest financial failures at the time. Ironically though, a week after Sinbad was released, Pirates of the Caribbean: The Curse of the Black Pearl came out and launched one of the most successful film franchises for Disney. But by this point hand-drawn animation was pretty much out the door, at least for DreamWorks. Spirit: Legend of the Seven Seas grossed a worldwide tally of $80 million against a budget of $60 million. DreamWorks reportedly lost $125 million as a result of the film not being as successful as they had hoped. It is available on DVD. 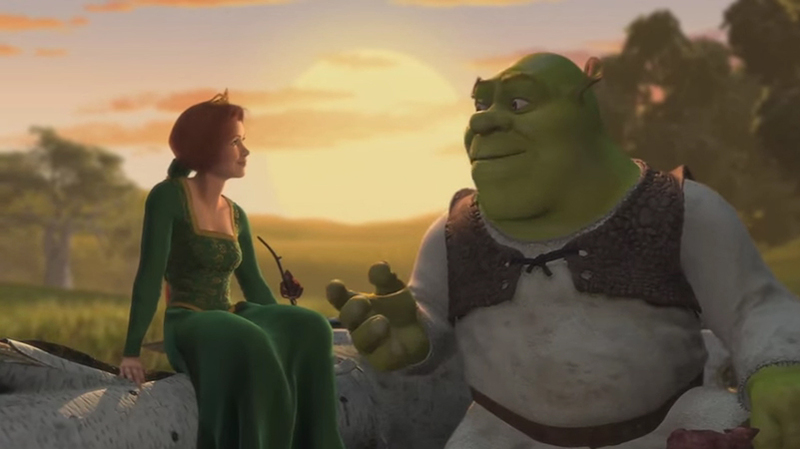 Shrek 2 would see DreamWorks Animation starting to move away from traditional methods of animation and stick to computer generated imagery. Their first theatrical sequel to a previous film, Shrek would appear to be finally living a happily ever after with Princess Fiona. But then they receive distressing news when they are summoned by her parents to receive their blessing. The animation on Shrek 2 was and still is amazing to look it. Taking and enhancing the tools used on the first film and polishing it up, the film was a visual feast from start to finish. The cast, expanded to include the likes of Antonio Banderas as the show-stealing Puss in Boots, John Cleese, Julie Andrews and more, were clearly still having a blast recording their lines. And there was a really good story to hold everything together. But even when Shrek 2 was released, I wasn’t as high on the film as most everyone else. I didn’t think the story needed to be feature-length, and while director Andrew Adamson managed to make it work, I’m still not entirely sold on the film having needed to be made in the first place. This was also the point where I started to get concerned about the use of pop culture spoofs and references. Some of them ended up being nice, but had the feeling it was being over relied upon for lazy humor. Despite my misgivings, Shrek 2 was a juggernaut. It received a reception that was nearly equal to the first film, with some folks saying they liked it better. It was nominated for the Academy Award for Best Animated Feature, but perhaps the biggest success the film achieved was that it was the first animated feature to very nearly make a billion dollars at the box-office. Many saw this as a sign that perhaps DreamWorks Animation was about to dethrone Disney as the new king of animation. Shrek 2 grossed a worldwide tally of $919 million against a budget of $150 million, regarded for seven years as the highest grossing animated feature of all-time. It remains the highest grossing animated feature in North America with a tally of $441 million. It is available on Blu-ray and DVD. Ten years since DreamWorks was founded, it seemed Jeffrey Katzenberg was poised to achieve the unthinkable and topple Disney for good with only Pixar nipping at the heels. The success of the Shrek films alongside early stand-outs The Prince Of Egypt and Aardman’s Chicken Run showed that there was quality animation to be found outside the confines of the House of Mouse. However, the animation landscape would change dramatically as the industry was shifting from traditional methods to the emerging trend of computer generated imagery. As Katzenberg famously commented to the New York Times, “I think the idea of a traditional story being told using traditional animation is likely a thing of the past.” DreamWorks was seen, along with Pixar, as being at the forefront of the new industry standard. But if getting to the top was tough, trying to stay there would prove to be a daunting challenge. By the end of 2004, a series of financial bombs would cause the live-action DreamWorks parent company to no longer function as a major Hollywood studio, and Katzenberg would split the animation department off as an independent production unit. In Part Two of our look at the history of the DreamWorks Animation films, we will look at the company struggling on its own and breaking away from traditional methods for good.